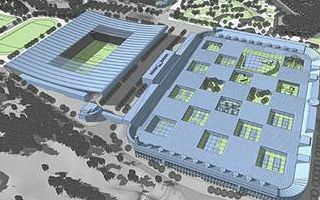 First preparations for this investment were made already in 1970's, but the process was going very slowly. 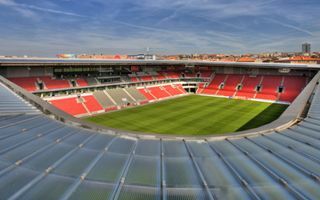 Works haven't started until 1989 when the eastern stand of Stadion Eden in Vrsovice district was dismantled and Slavia moved to nearby Ďolíček. 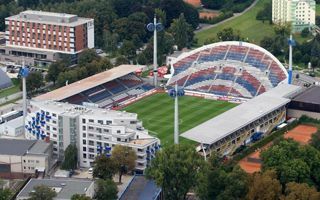 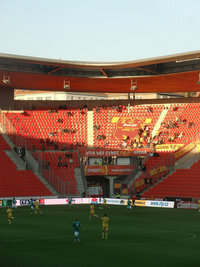 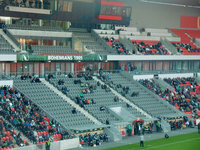 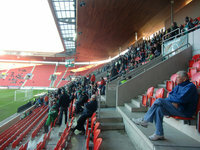 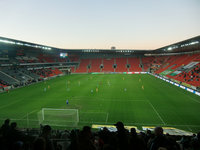 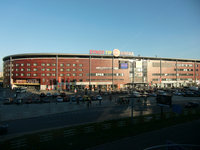 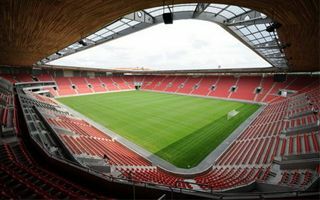 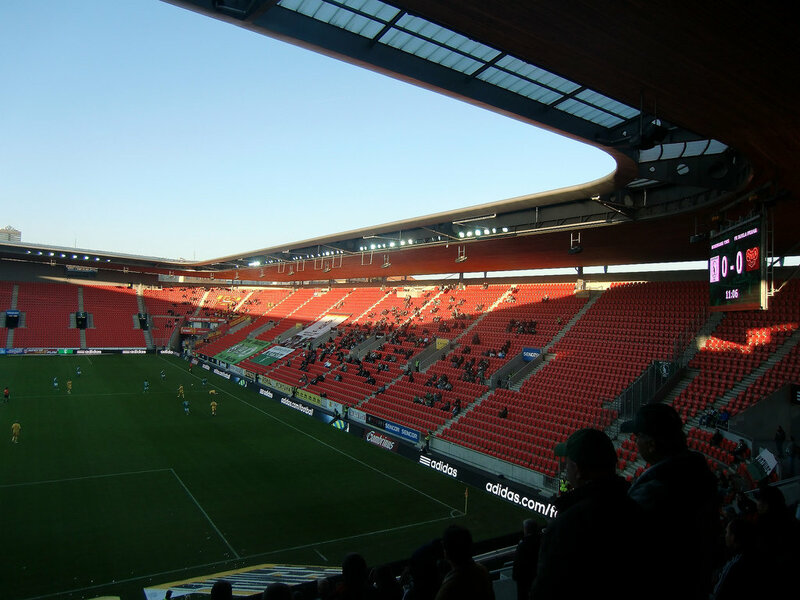 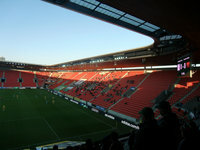 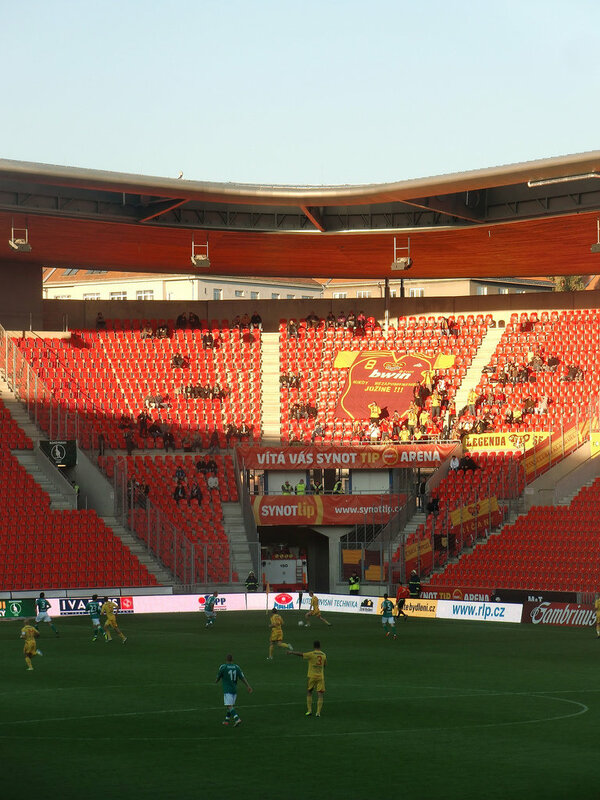 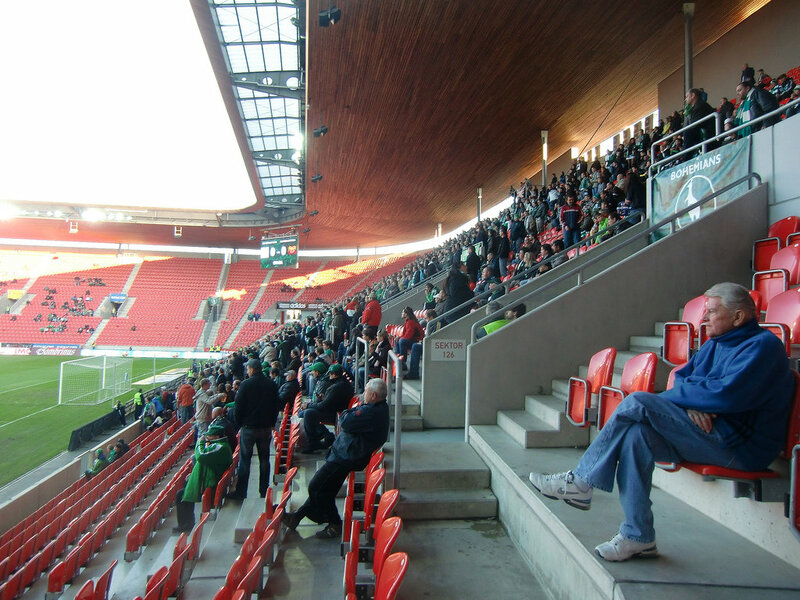 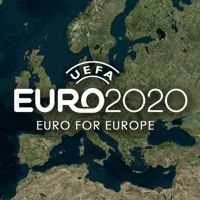 However, as regime changed soon after that, plans were canceled and the club had to inhabit Stadion Evžena Rošického in the distanced Strahov district. 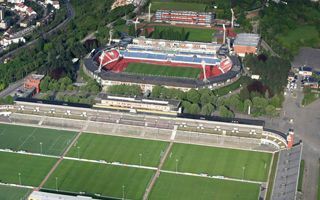 An attempt to facelift Eden and move back failed with the club being forced to return to Strahov in 2000. 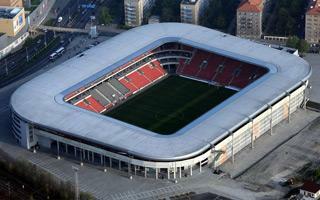 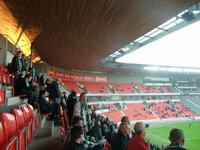 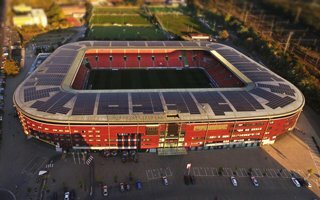 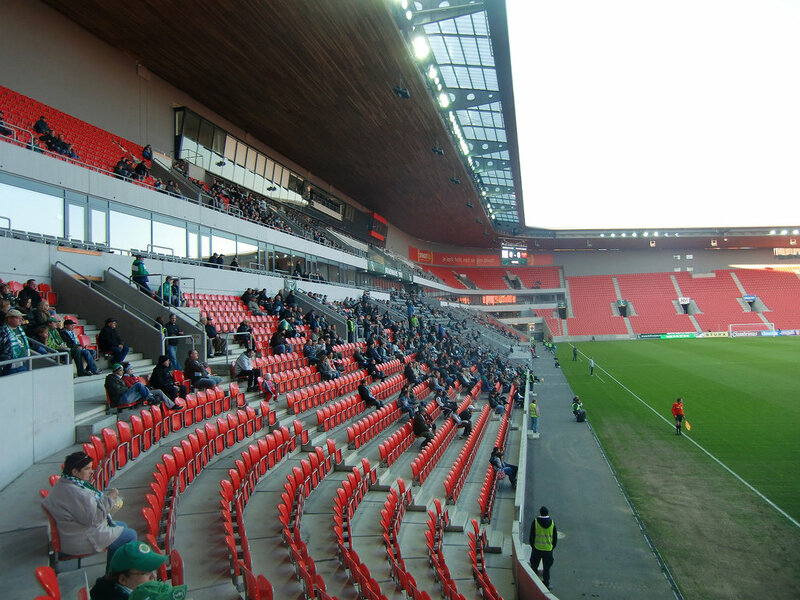 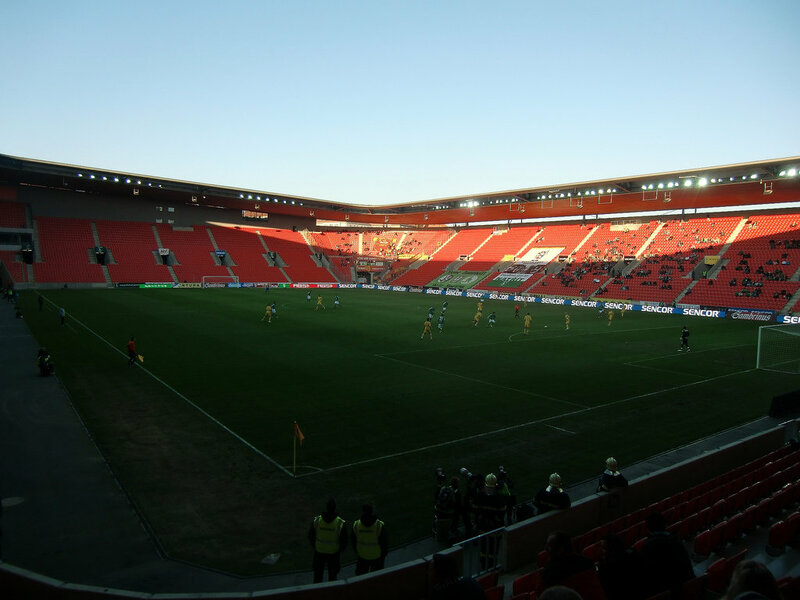 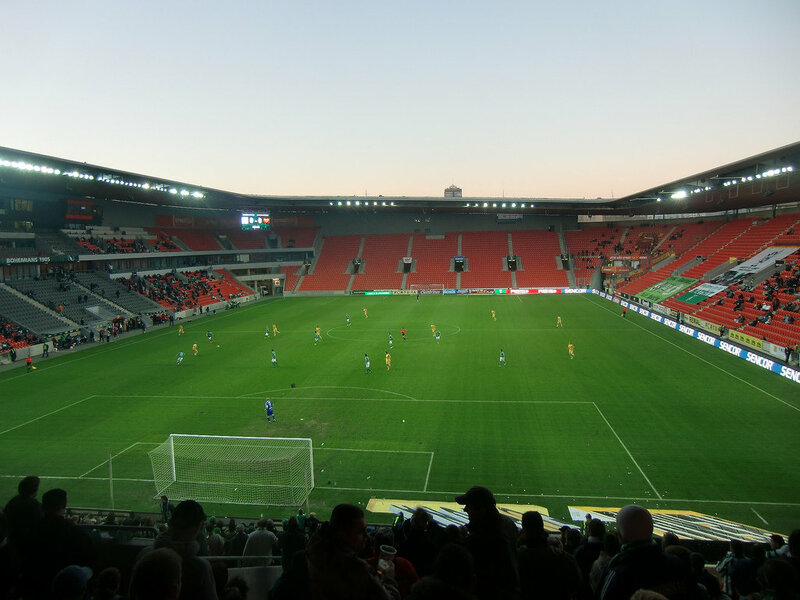 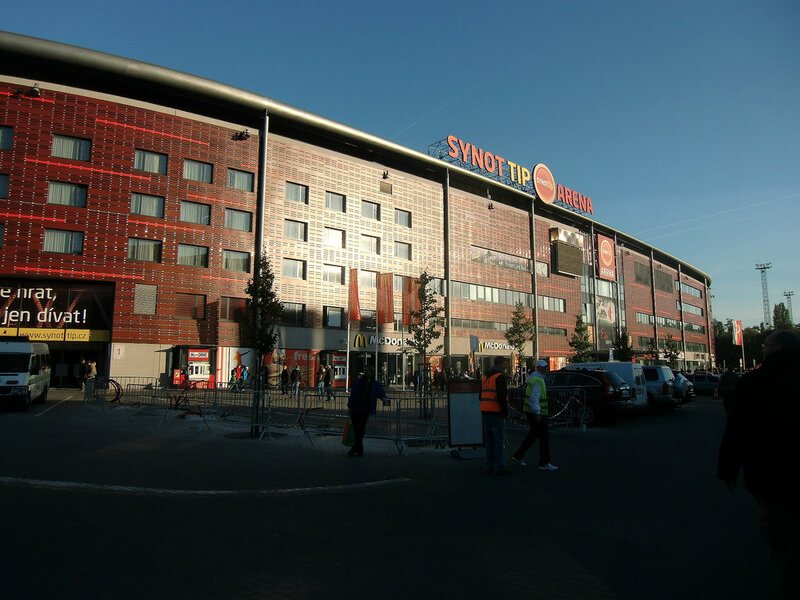 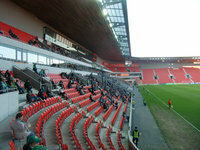 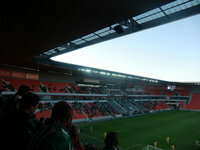 New design for Slavia's stadium was shown in 2003 and was due to be built in 2005. 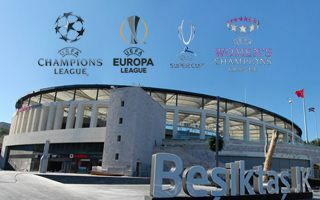 However work hasn't even started. 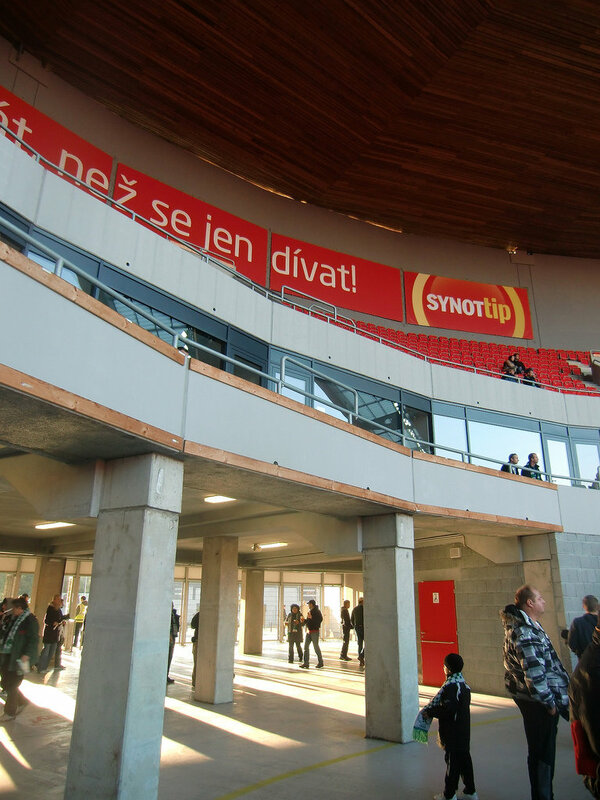 It wasn't until cost was lowered from CZK1,6bln to 1bln that machinery arrived on site in October 2006. 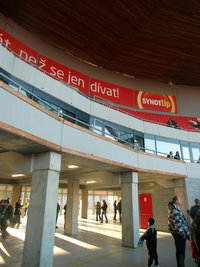 This was a joint venture by Slavia, Arcadis Project Manager and Hochtief, the main contractor. 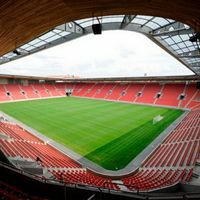 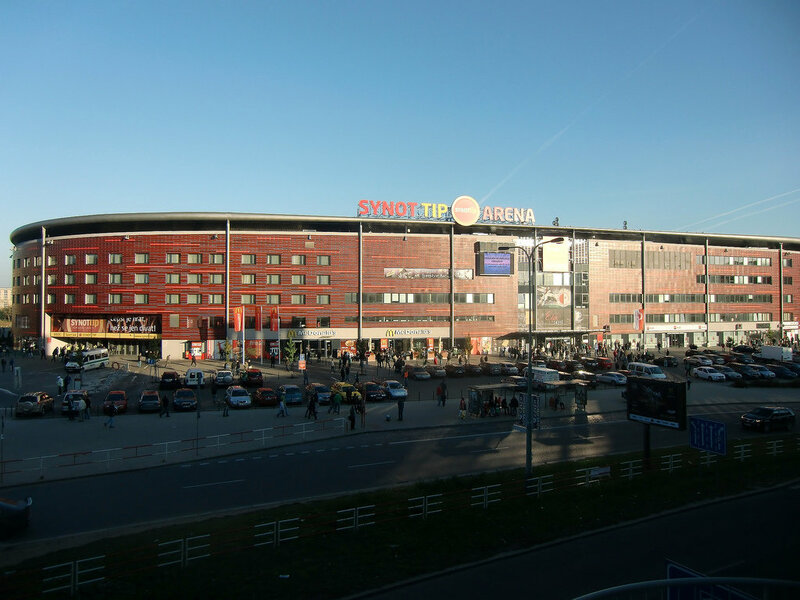 Along with Czech architects from Omicron-K design the venue has 21,000 seats under cover, of which 900 are located in skyboxes. 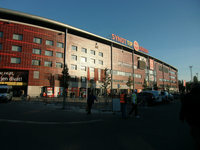 Official opening took place in May 2008 when works were still ongoing. 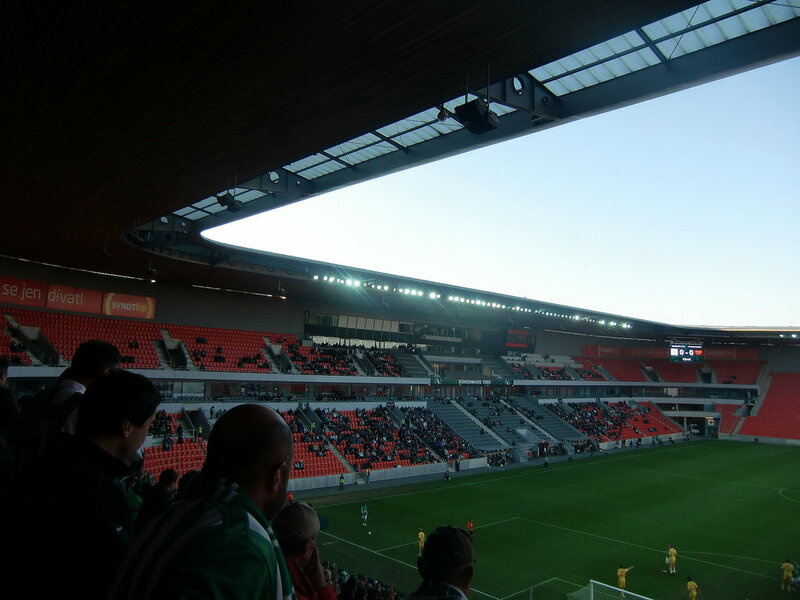 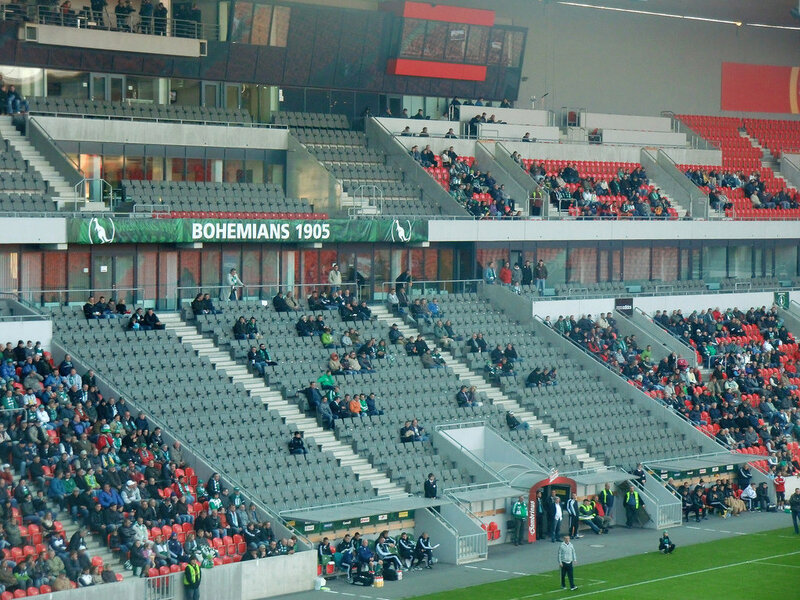 Since then Slavia is host at the venue, joined temporarily by bohemians 1905 whose Ďolíček didn't meet requirements. 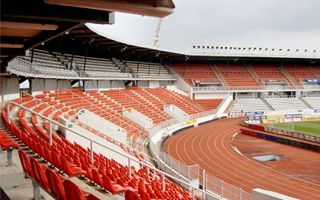 National team also plays here some fixtures and each year in summer concerts of famous performers take place, with the likes of Bruce Springsteen, Metallica or Depeche Mode on stage.